Famous Grand Canyon paintings by Karl Thomas - Utah landscape artist. 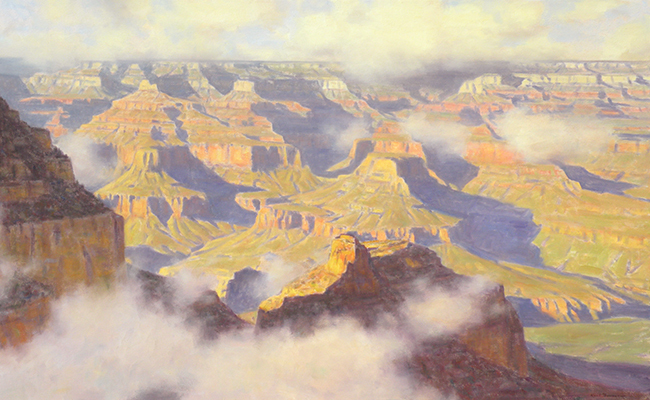 Painting subjects of The North Rim and South Rim of the Grand Canyon in all seasons. Some paintings of the Grand Canyon include pack trains.